Smartphone - a convenient and familiar tool of communication, finding information quickly, and without entertainment that it offers, most users of these gadgets already difficult to do. But you should not pay for the services too much. Let's think about how to save on paying cell phone. 1. Analyze your needs and supply sellers of services. Obviously, each of us different services - someone is talking on a cell phone, someone is always sitting on the Internet with this gadget. That is why cellular operators offer different tariffs. Not forgetting about their own benefit, they are trying to please clients existing and attract new ones. This last request of the sellers and must be used. Try to keep track on the websites of the companies current rates for the services you want. As soon as a better offer to switch or purchase a new SIM card. 2. Use multiple SIM cards. Most modern cell phones allows you to use simultaneously two SIM cards. And so combine! If you find one mobile operator best Internet and other almost free minutes, get two SIM cards (one for Internet, another for conversations). A very good offer of many operators - net calls at a very low price (by the way, they are both free). Use this opportunity with those with whom I communicate a lot. Check what services are available for your subscription. To check the easiest way to call the technical support operator and ask him this question. If there are services that you do not use, be sure to demand to disable them! 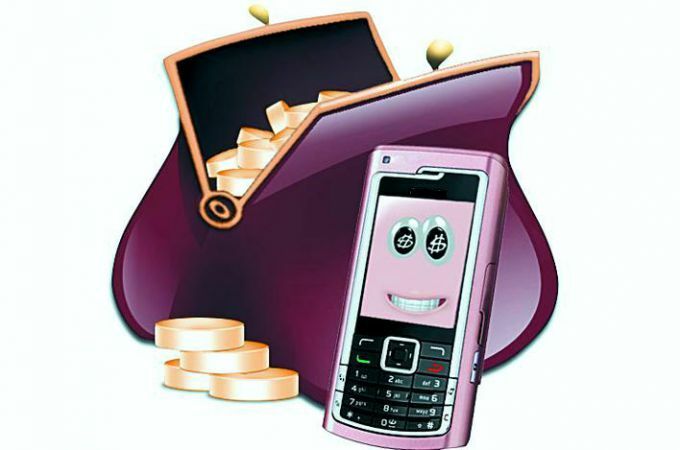 Some mobile operators is the so-called bonus program. The bonuses offered to acquire telecommunications services or Souvenirs. Even if the bonus is calculated a bit, it is still worth to use this opportunity to save! 6. Use what is free. Many shopping centers, cafes, restaurants, hotels, began to offer its customers free Wi-Fi. If you are in the area of the network, use it to communicate through instant messengers, instead of paying calls and SMS.